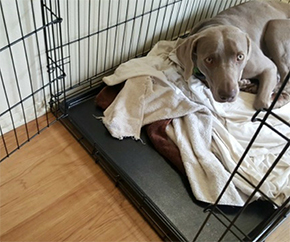 The versatile Carlson Extra Tall Walk-Thru Pet Gate is a chew-proof way to protect not only your home but also your pet. The 36” tall pet gate is easily expandable, featuring a pressure mount system for installation, and equipped with an easy to use door for pass through. The expandable nature of the gate is ideal for openings between 29-36.5”. The convenient walk through door keeps you from needing to step over the gate. To make life even simpler, the same convenience is provided to your pet as the gate features a 8” x 8” pet door letting small animals pass through while keeping everyone else stays out. Mixing functionality with convenience, the Carlson Extra Tall Walk-Thru Pet Gate features a 100% steel frame, that installs in minutes. The assembly gate, comes in three pieces and easily assembles with a few screws. Because we know that putting holes in your wall may not be an option, each of the four pressure mounts can be adjusted to create a stable and secure fit. If you’d prefer to hardware mount, the included wall cups will help you attach it to the wall. Standing an impressive 36” tall, the Extra Tall Walk Through Pet Gate is a perfect height for the dog that likes to jump or to keep larger dogs contained. To help you fit the wide variety of door and hallway openings throughout your home, the gate is easily expandable to fit a range of areas between 29”-36.5”. More extensions (above and beyond what is included) can be added to accommodate wider spaces. Additional extensions are sold separately. Maximum of three extensions on the gate. A key feature to this pet gate is the the ability to walk through. Simply push the safety button and slide the handle. With a 16” door opening there is space for you to walk through – because no one wants to step over a 36” gate every time they need to pass. 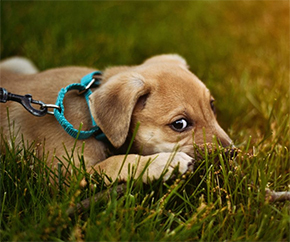 We care about your pets too, so they are afforded the same convenience as the gate also features a 8” x 8” pet door allowing your small animal to pass through easily. When you need to take your gate down, the Carlson Extra Tall Walk-Thru Pet Gate is lightweight, portable and stows flat – making it easy to shove in your closet before guests arrive or pack along when traveling with your pets. The Carlson Extra Tall Walk-Thru Pet Gate is backed by a manufacturer’s limited 90-day warranty. 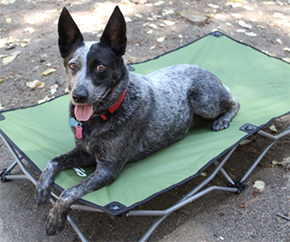 Carlson’s gates are designed specifically for your pet. Instead of repurposing baby gates, Carlson has created a quality solution that suits all breeds and lifestyles.